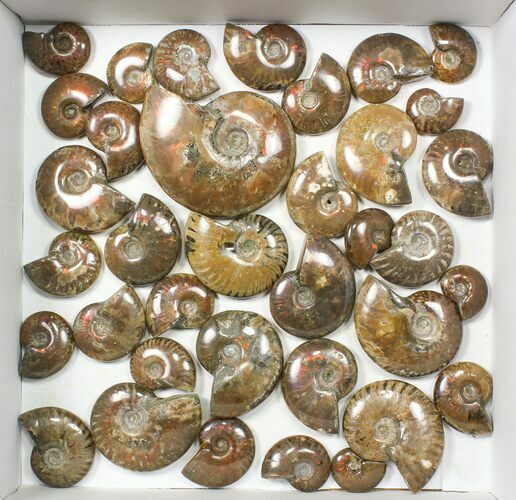 This is a wholesale lot of 1kg of naturally iridescent, red flash ammonites from Ambatolafia, Madagascar. 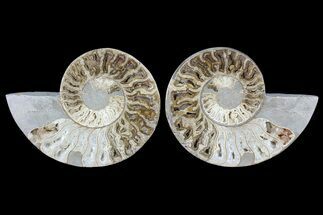 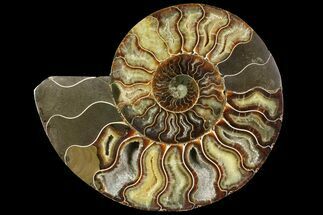 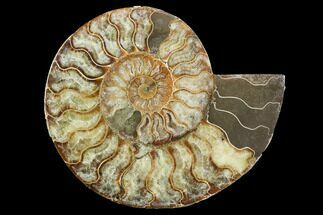 These ammonite fossils are Late Cretaceous is age, 110 million years old and have been polished to reveal the stunning iridescence under the first layer of shell. 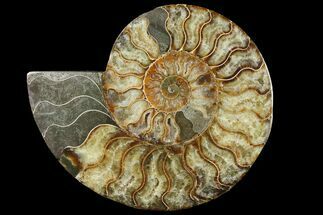 They shine with brilliant red hues when the light hits them from different angles. 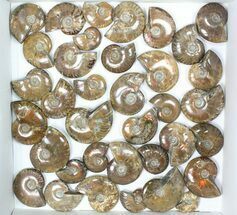 There are 38 ammonites in this lot ranging from 1 to 3" across with around 1 1/2" . 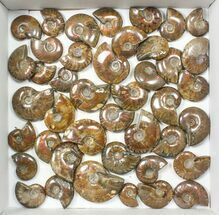 At the wholesale price, each ammonite is only $3.15 You will receive the exact lot pictured.